Mineral Bronzer features an award-winning, silky-smooth powder formula which adds a healthy, sun-kissed glow to any complexion. 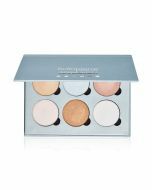 Recommended by makeup artists and dermatologists, Mineral Bronzer is non-comedogenic, talc and paraben free, and suitable for all skin types and conditions. 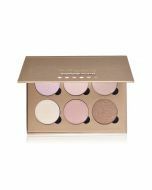 Tap a small amount of powder into the lid of the product using it as a palette. 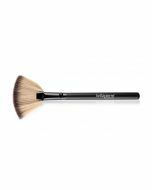 Using the Blush Brush dip the brush into the loose powder and tap the end of the brush on a surface to remove excess powder and apply to cheek bones. Apply to areas which the sun would hit to create a natural, sun kissed look. Tip of forehead, cheek bones, chin, and tip of nose.